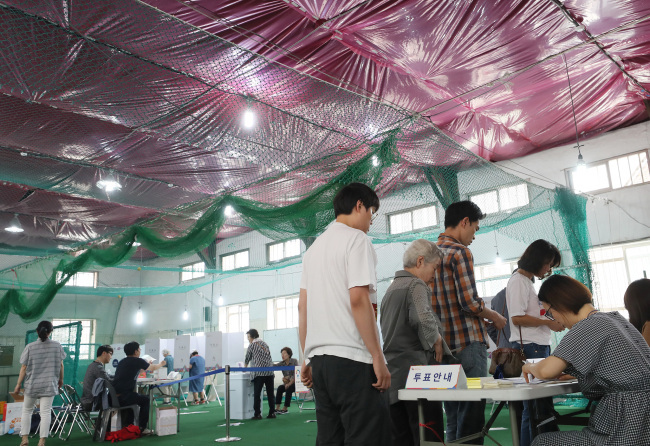 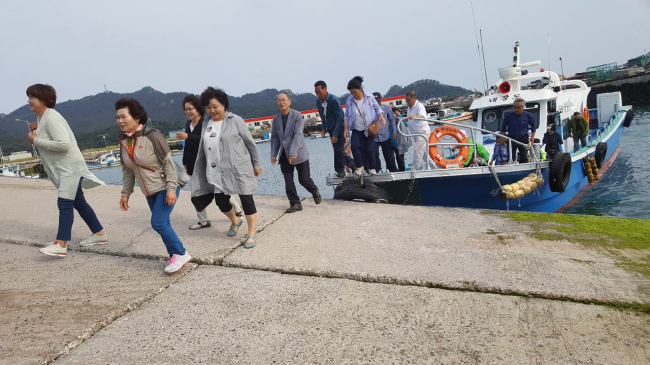 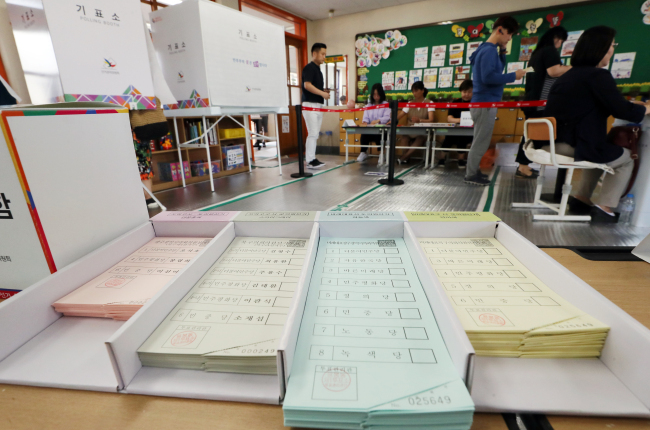 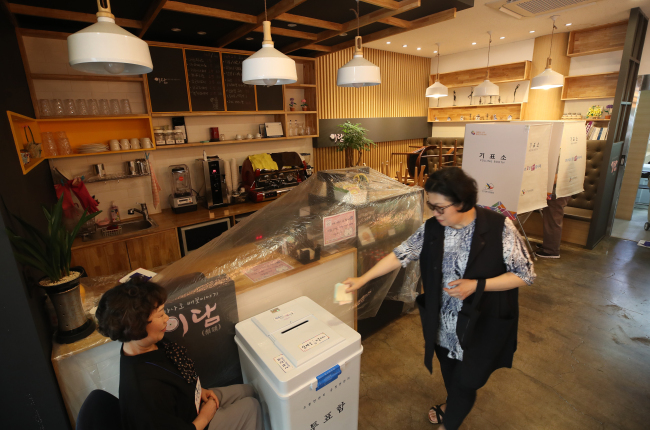 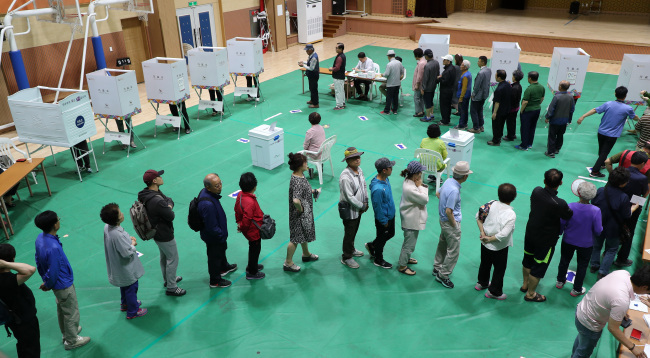 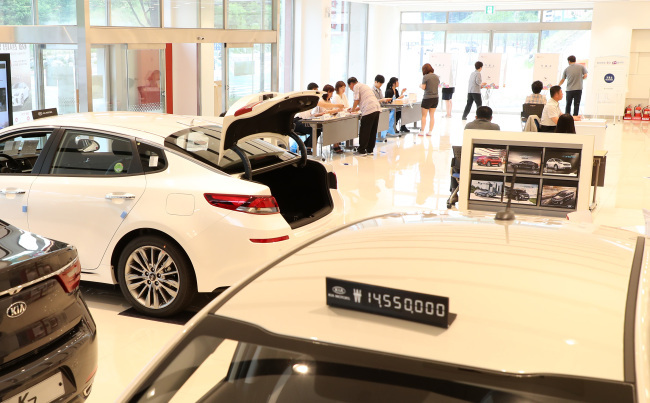 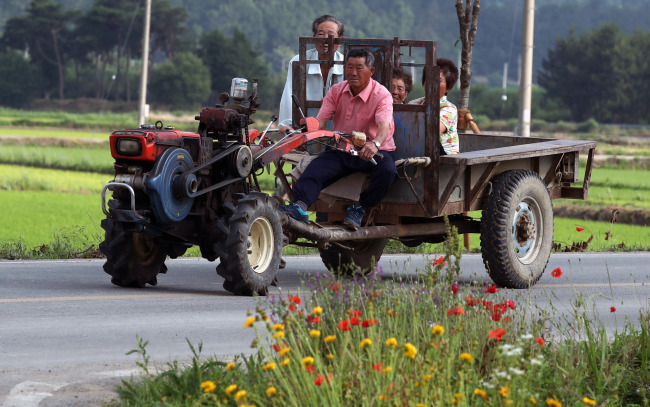 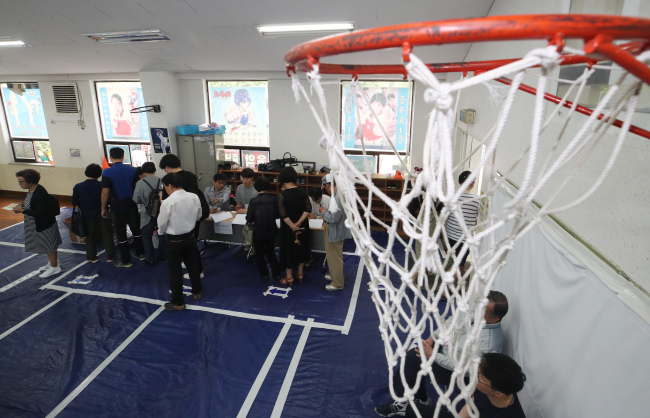 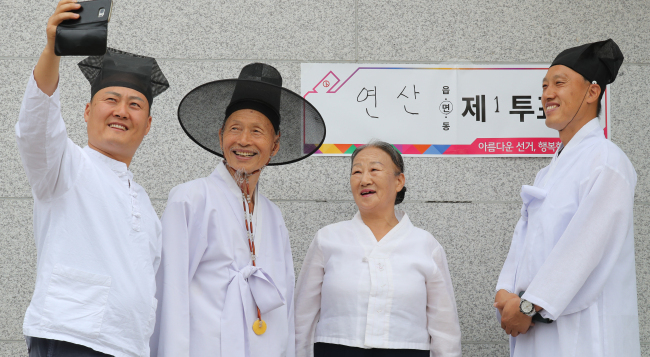 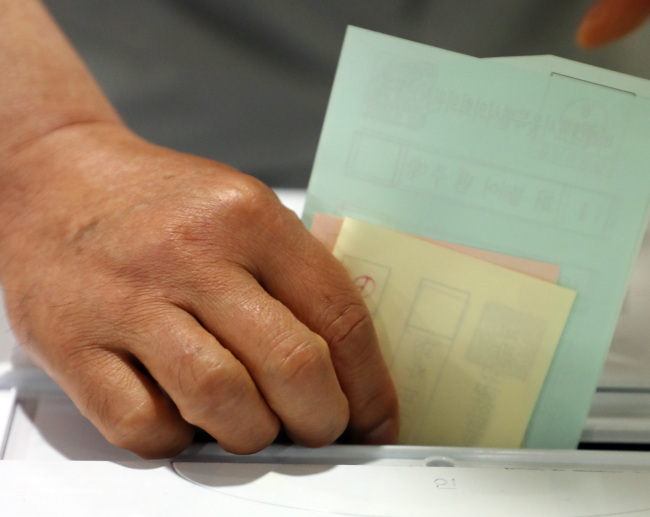 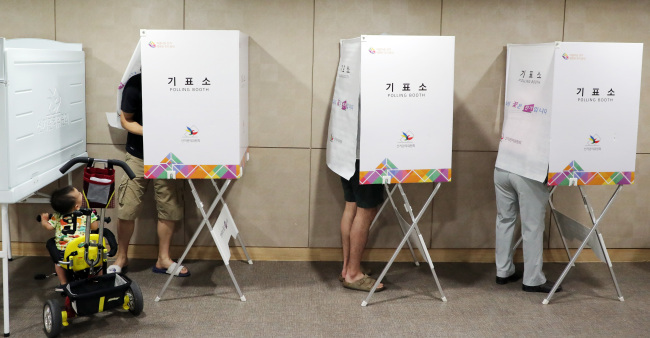 As local elections kicked off at 6 a.m. Wednesday, South Koreans flocked to 14,124 polling centers nationwide. 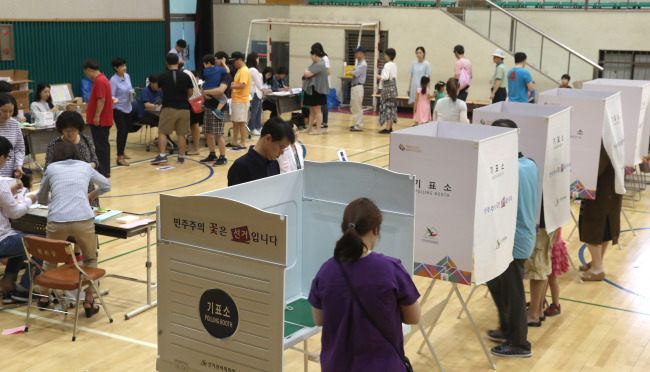 Voting runs through 6 p.m.
As of 10 a.m., 11.5 percent of 42.9 million eligible voters had cast their vote, according to the National Election Commission. 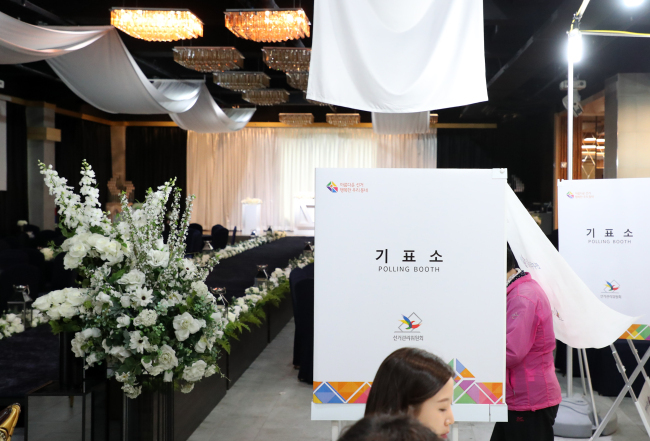 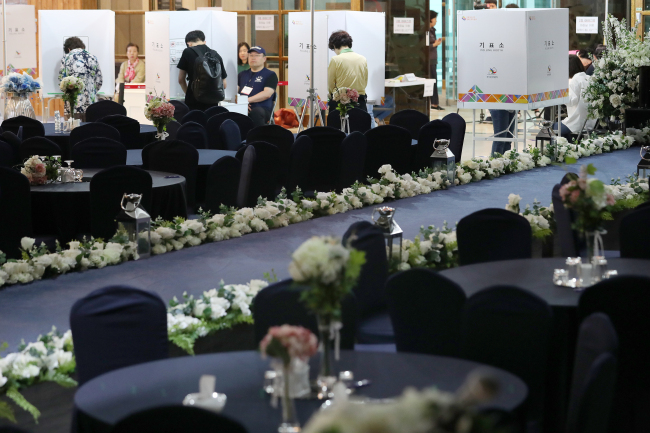 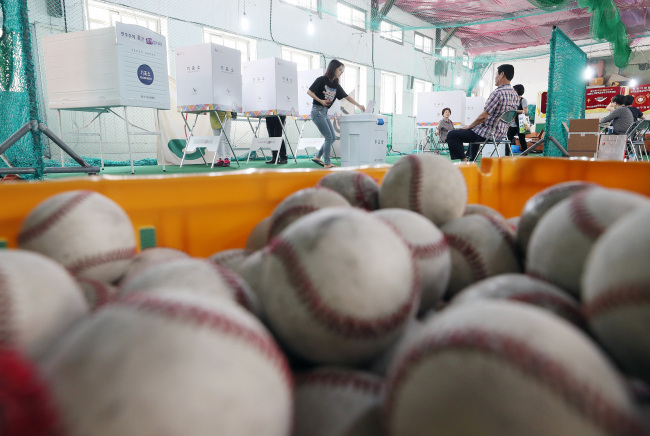 Polling centers were installed in various venues across the country, including gymnasiums, an indoor baseball training center, wedding halls, parking lots and banks. 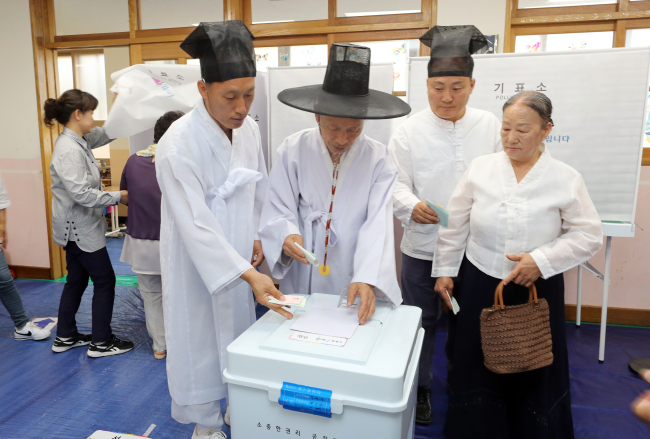 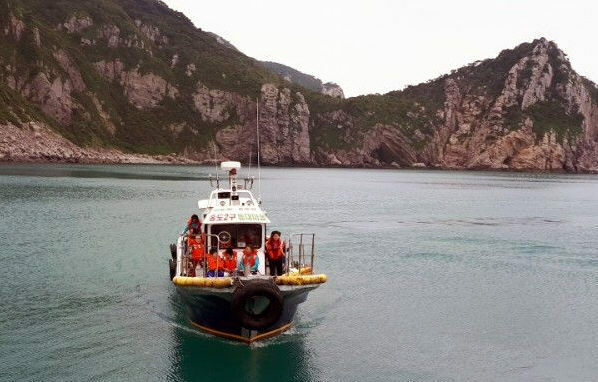 A total of 4,016 local administrative, legislative and educational posts are to be determined through the election, while parliamentary by-elections will fill 12 vacant seats in the National Assembly.